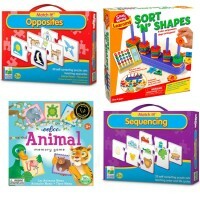 This educational super set brings 3 language development games to learn opposites, rhymes and compound words. 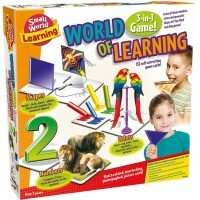 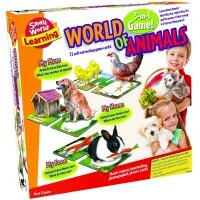 Small World Learning series presents a terrific fun game and a new concept toy - World of Words 3-in-1 Learning Games Set. This educational super set by Small World Toys brings 3 language development games in one package. 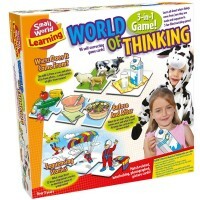 This educational toy comes with 144 self-correcting puzzle cards to play 3 language learning games. 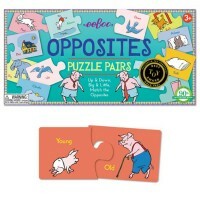 Match opposites on the photo images cards and put Opposites Game puzzle pairs together. 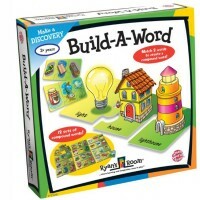 The bestselling Build a Word game teaches to build compound words out of 2 simple words. 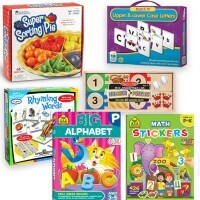 Find a perfect rhyming word for the picture on the puzzle card and complete the Rhyming Words puzzle pair. 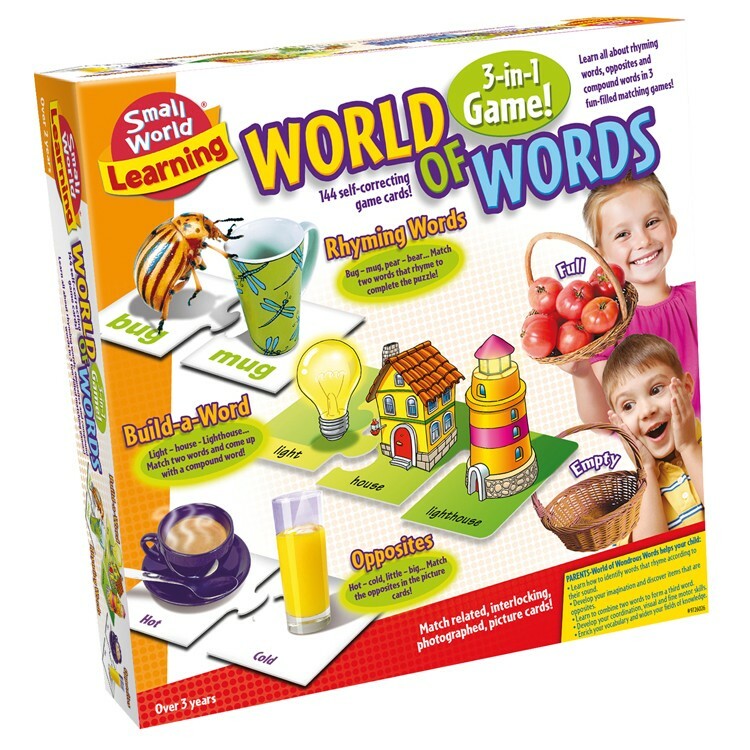 Educational Toys Planet's World of Words 3-in-1 Learning Games Set develops vocabulary and language arts skills and promotes logical thinking, problem solving and visual perception. 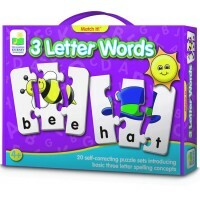 This 3 word matching puzzles in one super EDUurable game set is a 'must have' educational tool for home or classroom learning. 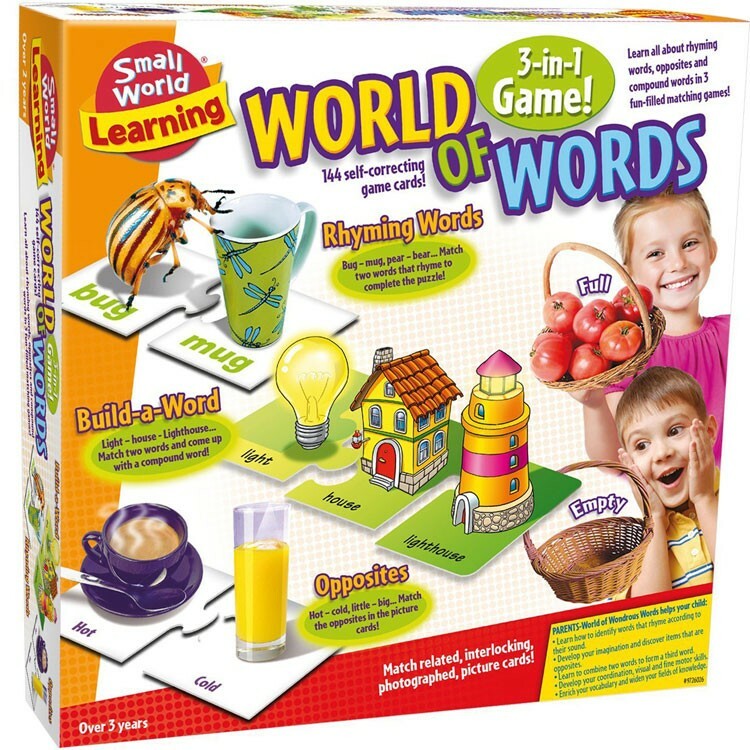 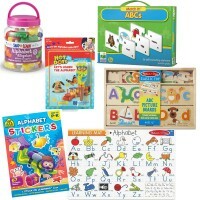 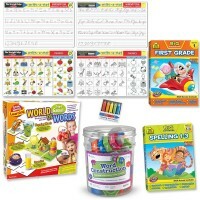 Dimensions of package 7" x 13" x 13"
Write your own review of World of Words 3-in-1 Learning Games Set.